Prize Announcement for the 7th Annual SOLSC! Stenhouse is donating five books to five separate winners. The winners may choose any Stenhouse book from the catalog. Winners are Elsie, Donna Smith, Cathy, Adrienne, and Judy Jester. Kids Can Press is donating a full set of Binky the Space Cat graphic novels. Winner is Bev Baird. Candlewick Press is offering an entire set (five books total) of Emily Windsnap paperback books to one lucky winner. Winner is b. Chronicle Books is donating five children’s books along with five journals to five separate winners. Winners are CCahill2013, Library Dragon, Brittany Butler, Jodimahoney, and AJF. From Scholastic, a donation of 16 hardcover books from their 2013-2014 collection for 16 lucky winners. Winners are Katherine Sokolowski, Readingtothecore, Franmcveigh, Lisa Keeler, Arjeha, Erinjohnson7, JenniferM, Travelinma, Holly M, Kate Schwarz, Mandy Robek, Dogtrax, Jennifer S., Adriennewiley, Mettamusic, and Rissable. From Heinemann, one person will win a book of their choosing from the new Heinemann Spring Catalog. 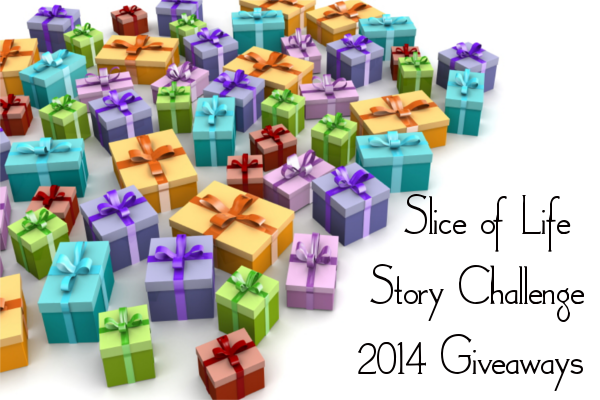 (More giveaways from Heinemann to come throughout the month!) The winner of this prize from Heinemann is CMargocs. The 2 Sisters (Gail Boushey and Joan Moser) are donating 10 prizes to 10 winners. Five winners will receive a free three-month membership to the Daily Cafe. Five other winners will receive a free three-month membership to the new online classroom conferring program, CCPensieve. The Daily Cafe winners were Diane Sweeney, Katie Diez, Leigh Anne, Aggiekesler, and Kam Plasek. The CCPensieve winners Cvanlaeken, Alan J Wright, Delighted, Julie Crain, and Amelia1973. Cinco Punto Press is donating three separate books to three separate winners: Maximilian and the Bingo Rematch by Xavier Garza, Remember Dippy by Shirley Vernick, and House of Purple Cedar by Tim Tingle. Winners are Gardenlearning, Alybee930, and Kay McGriff, respectively. Author Amy Ludwig VanDerwater is donating an autographed copy of her book, Forest Has a Song, to one lucky winner. Winner is Gillis. Harper Collins is donating two copies of Allegiant by Veronica Roth for two winners. Winners are Katy Collins and Showgem. Random House is donating a prize package of three books for one winner: Ophelia and the Marvelous Boy by Karen Foxlee, The Mark of the Dragonfly by Jaleigh Johnson, and The Tyrant’s Daughter by J.C. Carleson. Winner is Jarhartz. Simon & Schuster is donating three books to one lucky winner. Winner is Tjkfirst. In celebration of the 50th Anniversary of Charlie and the Chocolate Factory, Penguin is donating five copies of the book to five winners. Winners are Blkdrama, Judy C., Linda Baie, Lifeunexpected811, and Debbussewitz. Charlesbridge Publishing is donating a collection of their Spring 2014 picture books for young readers. The set contains 14 books for one winner. Winner is Valsgalore. Ramona Behnke is donating a professional book written by Aimee Buckner titled Nonfiction Notebooks: Strategies for Informational Writing. Winner is Tracey. Linda Baie is donating two copies to two separate winners of Writing Stories: Ideas, Exercises, and Encouragement for Teachers and Writers of All Ages by Carolyn Coman. Winners are Julie Crocker and Shelsdon. Bernadette Laganella is donating two copies of her self-published book, Before I Was Born, to two winners. Winners are Caroline Carr and Michelle Haseltine. Donna Smith will send a personalized mug to one lucky winner. 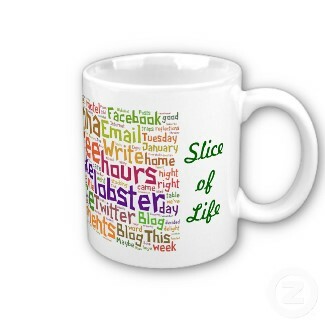 The mug will be personalized with key words from the winner’s Slice of Life Stories. Winner is Marc-aureled. 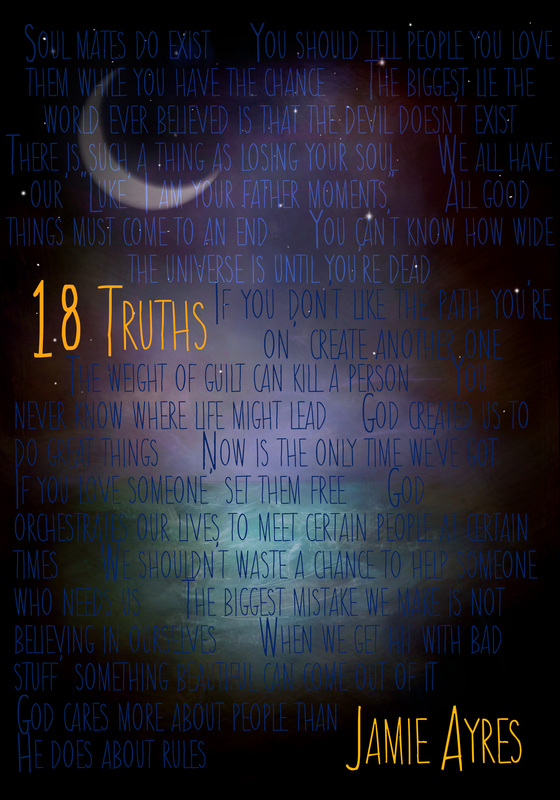 Jamie Ayres is donating the first two installments of her young adult trilogy, 18 Things and 18 Truths, to one winner. Winner is Melanie Meehan. Jone Rush MacCulloch is donating a copy of her book, Solace in Nature. Winner is Margaretsmn. Clare and Tammy, authors of Assessment in Perspective, are donating A Writer’s Survival Kit to one winner. The kit contains one Slice of Life journal, some dark chocolates, a candle, and the book One Word that Will Change Your Life by Dan Britton, Jimmy Page, and Jon Gordon. Perfect for inspiration and comfort! Winner is Newtreemom. Carrie Cahill is donating one copy of her book, No More Summer Reading Loss. Winner is Richard Mitchell. 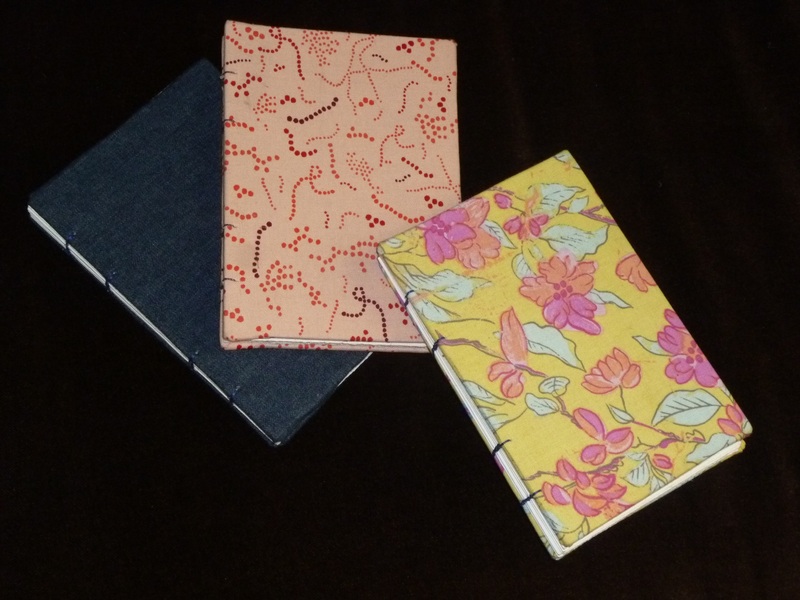 Stacie is donating two of her beautiful, hand made journals to two lucky winners. Winners are Tara and Ramona. Catherine Flynn is donating a copy of Dani Shapiro’s book, Still Writing: The Perils and Pleasures of a Creative Life. Winner is Onathought. Wait, that’s not all! Throughout the month, there were some special challenges and giveaways! Jaana and Elsie won the Commenting Challenges during the month, so they each won a book of their choosing from the Heinemann catalog. Thomas Riddoch won the late starter prize, a set of Fall Fierce Reads titles donated by Macmillan. Finally, bbutler627 and peteacher1 each won a prize from Responsive Classroom during the New Slicers Challenge. All prize winners will be contacted via email shortly. Thank you to everyone who participated in the SOLSC, and a heartfelt thank you to all of our sponsors. Congratulations to everyone who wrote for 31 consecutive days! ← SOL Tuesday is here! This was my first year participating in the March challenge, and it was the most rewarding experience for me as a blogger and writer. Thank you seems so small. I wasn’t in it to win a prize but was thrilled when I saw my name and even more thrilled when I received my email from The Daily CAFE stating my three month membership has been activated. My next goal is to encourage people to join this community! Beth will be sending out winner’s info shortly. Watch for an email! Thank you. What a great month! This is my first time winning a prize, so that is pretty nice, too! Congratulations everyone who made the 31 one days and to those that dared to give it a try! Wow! What great prizes and so many! This was a wonderful experience- it has changed my understanding of who I am and war I can do ! Thank you. I’m so happy to have won a prize! Thanks for all your hard work in putting on this challenge! Thank you so much for an inspiring month – for holding this and for all the writers who were such an awesome community. thanks too for the prize – I certainly appreciate it. Congratulations to everyone who participated in the SOLC and to all the prizewinners! Thank you, everyone! So grateful for more books and winning a prize! Thank you for encouraging writing and providing a forum for a community. March was a great month. This was the first time I participated and I know it won’t be the last. Thank you to all for the hard work everyone put in. Many thanks to everyone who worked to make blogging through the month of March so rewarding. I’m looking forward to enjoying some new books. We are lucky to have so many volunteers who made March a marvelous month for writing! Thanks to everyone who helped. I’m looking forward to my handmade journal from Stacie, continuing inspiration to keep writing. The real rewards come from this community of writers. I’m a proud member of TWT. Maybe it’s time for us to have a T-shirt! Congratulations to all who received the treasure of words. Thanks to everyone who provided inspiration and encouragement to the newbies. It was indeed a challenge and a gift. Wow amazing work from the team! Congrats to winners! I agree with Stacey the winning is in the writing but the books are a wonderful treat! I am not usually a winner at any contest so it was a treat this morning to see my name. I am excited to read and share these books with students! Thanks again for giving us this great push to keep writing. Thanks so much for all the work everyone did during and after March! I can’t wait to read my new books. It was a great month of writing and reading! Congratulations to the winners! I think it’s the first time I’ve won a prize, but loved all the month of March. You’re right, that was the real one. Thanks again to all the TWT writers, plus Robin-what a job you took. I look forward to sending out my prizes, too! Congratulations to all the prize winners! Thank you for all the behind the scenes work that keeps the challenge running smoothly and the continued work that happens afterwards. How exciting! Thank you for all the work and generosity required to award all those prizes. And yes, the real rewards are priceless (but I’m really excited about the books I won. ;-)). So excited to win a prize! Thanks for hosting another great SOLC! You sure are right about the REAL REWARD on this challenge…it keeps coming long after the challenge is over and is spread in classrooms everywhere. “We know the real rewards for 31 consecutive days of writing cannot be found in a mailbox.” SO TRUE! Yet prizes are a lovely thing. Thanks for all of your hard work on this Dana! And thank you, in advance, to Beth for helping out with the prize dissemination. And, of course, many thanks to Robin who tracked who wrote and linked daily for the month of March.